Are you one of those organizations that is living without directory services? You aren’t alone. There are a large number of organizations that function without a central user directory. This is often more by necessity than by choice. Directory services are painful to implement and manage. Most small organizations aren’t willing to put up with the headaches, which is completely understandable. But there’s a reason that directory services were invented. In this post, we’ll walk you through some key reasons to have a directory and how you can quickly and easily implement a central directory without the pain. One Central Identity Per User – with single sign-on being so critical to end users for their efficiency and ease of use, a central directory helps to implement this across your infrastructure. There are SSO solutions for web applications, but a central user store serves that purpose for your internal network, devices, and applications. Efficiency – without a central directory, every device, application, and network system requires you to manually create and manage users. This is time consuming and tedious. Effectively you are creating mini directories all over the place. All of those mini directories need to be managed and kept in sync. Security – when you have a central directory, you can disable or delete a user and that action will propagate through to all of the resources connected to the directory. Without a directory, the IT admin needs to remember to disable that user in every location they are currently present. Even if you have just 10 different systems or applications, a mistake is easy to make. With so many IT resources required for each individual to do their job, that’s a lot of connections that an IT administrator needs to manage. 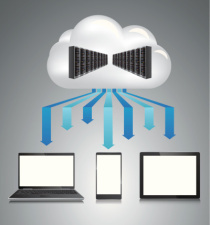 In the current cloud infrastructure environment this includes SaaS-based applications, PaaS-based systems, and cloud-based infrastructures such as Amazon Web Services and Google Compute Engine. That ends up being a large number of connections to manage. It’s no wonder that small organizations that are strapped for resources just skip this step and make do with manually dealing with managing users. The solution to this problem isn’t to go implement a legacy directory which just perpetuates the problem of increased work. Further, the legacy directories of Microsoft Active Directory® and LDAP are difficult to implement and manage. Not to mention they can get expensive when you include the time and resources it takes to manage them! Why not just hire it done? 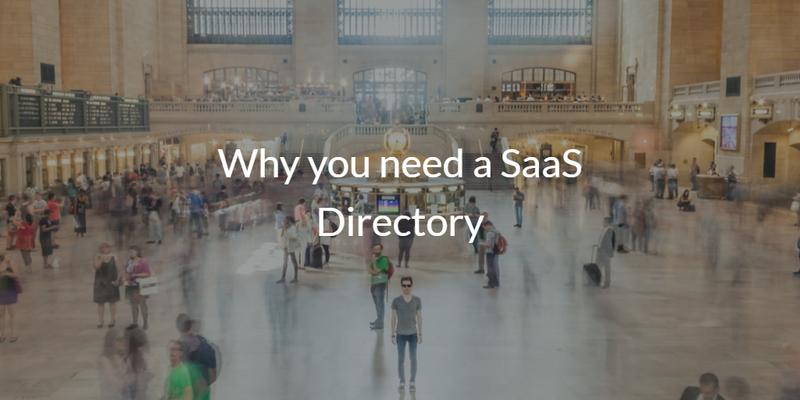 Software-as-a-Service (SaaS) directory services solutions are available to off-load the effort required to install, setup, and configure a directory. The provider will even handle the on-going effort to manage the directory. Organizations simply input their users and manage those connections via a simple web-based interface. If you are without directory services, there’s no reason not to consider leveraging JumpCloud’s Directory-as-a-Service® solution. Your first 10 users are always free. It only takes a few minutes to get up and running. Drop us a note if you have any questions or comments, and we would be happy to help you leverage a central user directory without the heavy lifting.